Hello and welcome to Umpire’s Call. This week’s subject is Bases awarded to runners on overthrown balls and the like. This often seems confusing, but needn’t be. DON’T OVERTHINK IT! An overthrown ball that goes ‘dead ball’ (called BY THE UMPIRE). An overthrown or incorrectly fielded (or attempted fielding/play) of a batted or thrown ball, which is technically STILL LIVE PLAY, and will be called as a DELAYED LIVE BALL by the Umpire. • 1 base for a pitched ball. • 2 bases for a thrown ball. Thus, you could think of it as, “2 bases” FROM TIME OF PITCH, EXCEPT if thrown by the pitcher from the pitching rubber. Pitcher tries a pick off (usually at 1st base), overthrows and ball is called dead: runner gets ONE base. OR, Pitcher throws a passed-pitch (catcher doesn’t catch it) and ball goes dead (e.g. under the backstop) : any runner on base gets ONE base. Now Let’s look at Situation 2. This is a situation when a SECOND fielder is throwing a ball after another fielder has thrown or touched the ball, i.e. a second throw. The bases awarded are now FROM THE TIME OF THE THROW. This means that if — IN THE UMPIRE’S JUDGEMENT — a runner had reached a base by the time of this throw, he/she is awarded another base beyond that one already reached (which would in fact be 3 bases from the time of pitch). Think about it — here is a likely scenario: Runner at 1st base (i.e. a double play [DP] situation for the infielders if 0 or 1 out). Ground ball hit to an infielder, who throws to 2nd base to catch that runner (let’s say the throw was on time and the runner is called out); fielder at 2nd base throws to 1st base for the DP on the batter-runner, but throws wild and UMPIRE calls out of play/dead ball. This was the SECOND fielder throw, so the batter-runner is awarded 2 bases FROM TIME OF THROW. So, if batter-runner had NOT reached 1st base, he/she gets 1st and 2nd base; HOWEVER, if the batter-runner was already at 1st base at the time of the throw (unlikely), he/she gets 2 bases from where he/she was at time of throw, i.e. 3rd base. Except for a pitcher-thrown ball from/on the rubber, the award is ALWAYS 2 bases FROM THE TIME OF THE PITCH. Otherwise, it is 2 bases from the last base occupied/reached by the runner AT THE TIME OF THE THROW. These situations and awards are the UMPIRE’S to call/give. 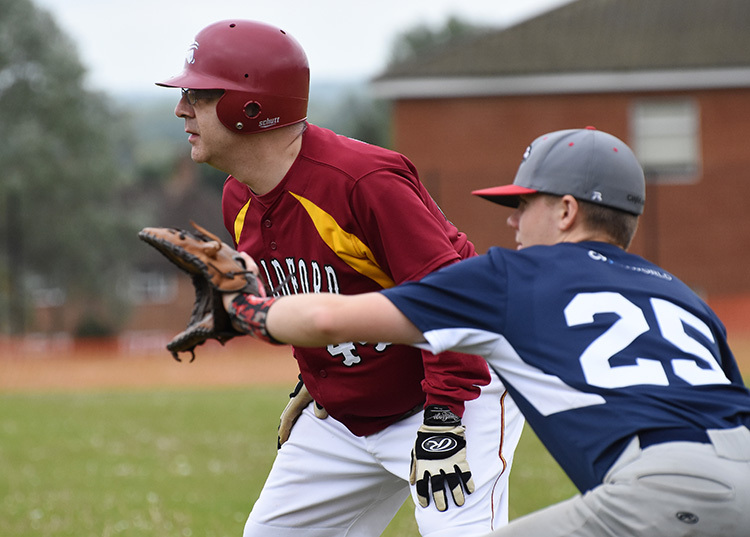 Runners: go to the base to which the UMPIRE directs you AND touch all bases in order as you do so, including a tag-up if necessary. 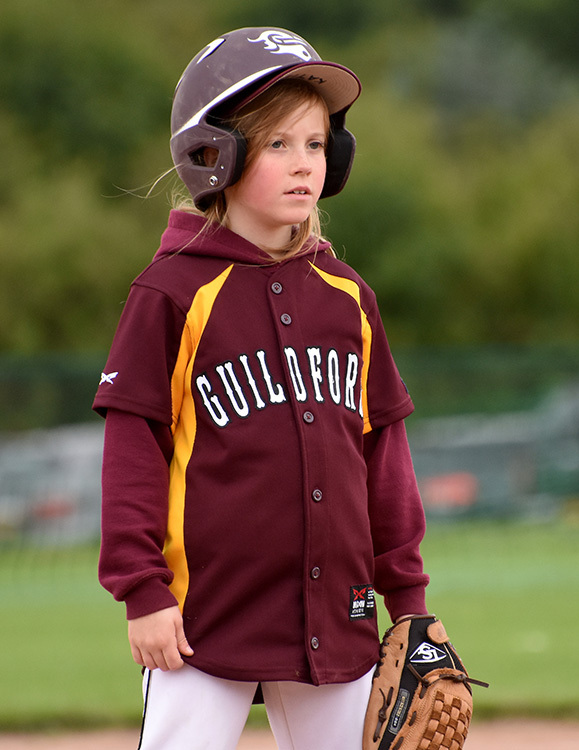 Coaches/Managers: nod your head and agree with the Umpire’s awards. 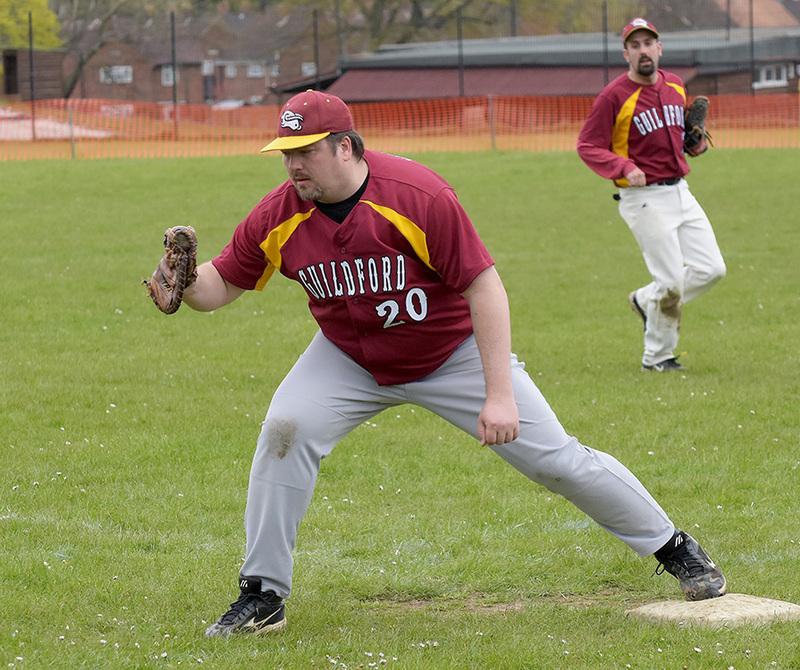 Also, runners, remember: If a dead ball has been called you are safe going to the base awarded to you by the Umpire; but once play has been called/resumed by the Umpire you can run to another base, BUT NOW AT YOUR OWN RISK of being tagged out. 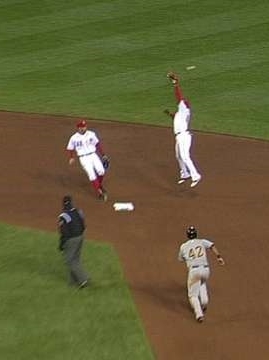 There are some other situations where the Umpire will award runners more bases. These are called DELAYED LIVE BALL situations, when a fielder makes an illegal fielding attempt. Such situations are rare, because no ball player worth his or her salt would do any of the things listed below, now, would they?! • Touch, throw, hit or catch a BATTED (hit) ball with any equipment or clothing detached from your body (e.g. throwing your glove at the ball and hitting it; catching a fly ball with your baseball cap). These are NO-NOs. 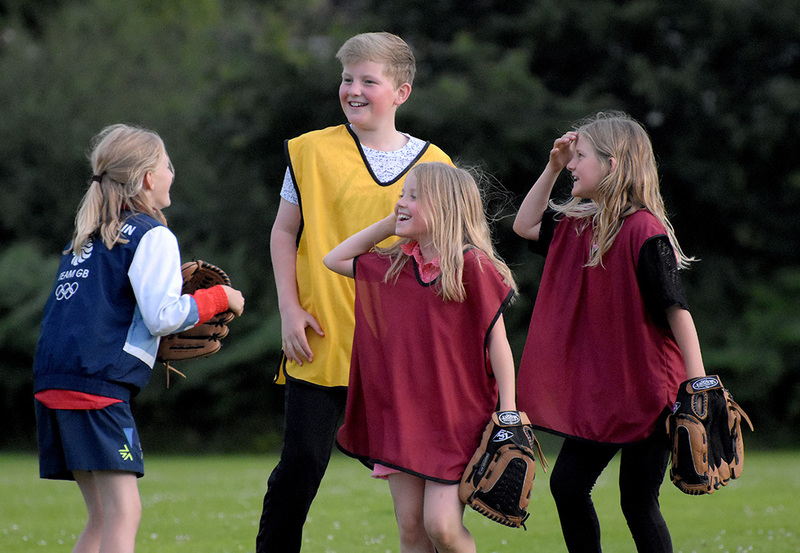 • Touch, throw, hit or catch a THROWN ball with any equipment or clothing detached from your body. These are also NO-NOs. • A cap or catcher’s mask in the hand is considered DETATCHED … so you CANNOT scoop up the ball with your cap or a catcher with his mask, trying to look dexterous! What happens if you do any of the above? DISASTER for the defence, because for any such illegal play on a BATTED ball the Umpire will award any runners 3 BASES; and for any such illegal play on a THROWN ball the Umpire will award any runners 2 BASES! DO remember that it is the UMPIRE’S JUDGEMENT whether that glove or cap came off your hand or head intentionally (i.e. was thrown at the ball). So don’t worry about your cap flying off when you make that spectacular diving fly-ball catch. Just DON’T intentionally throw anything at the ball other than your whole body with an outstretched glove on your hand. But these sorts of situations are extremely rare, so don’t worry about them unduly. Any questions, just give the Doc a shout and I’ll sort it out for you.